You are browsing the archive for Katelyn Rogers. there is a severe shortage of data trainers able to work with local communities and adapt training to local needs and/or languages. organisations and individuals need to engage with data over a long period of time for data activities to become embedded within their work. Our Fellowships are nine-month placements with School of Data for existing data-literacy practitioners. We identify high potential individuals with topical expertise and help them mature as data literacy leaders by working alongside School of Data and our global network. At the start of the Fellowship, we create an individualised programme with each Fellow, designed to equip them with the skills they need to more effectively further data literacy in their community. This programme is built around the core competencies required for furthering data literacy: community building; content creation; and knowledge transfer (see Data Literacy Activity Matrix) for more details on these competencies). From the outset, we were successful at recruiting high-potential individuals to participate in the programme and throughout the years the applicant pool has only grown. We have worked with the Fellows to adapt and translate materials, develop original learning content and provide training to local civil society. Each year, we make tweaks in the programme to reflect learnings both from where we are achieving our goals as well as where we have fallen short. Prior to 2016, we had not clearly articulated that kickstarting data literacy communities was one of the goals of the Fellowship programme but it had become obvious that this was a critical component to the sustainability of our work. Given that data literacy is such a nascent field, it was always important, in each new city/country, for the Fellows to do substantial awareness raising work. The Fellows who were most successful would provide trainings and organise meet-ups not necessarily to build individual skills but to start sensitising local communities to the idea that data is a powerful tool for civil society. In late 2016, we conducted interviews with two dozen School of Data Fellows to better understand whether we were achieving our goals as a programme. These interviews formed the basis of our first Fellowship Outcomes Mapping. Some of the highlights of these interviews can be found below. Better Understanding of the Data Needs and Challenges of Civil Society: Over the years, we have recruited a number of developers, data analysts and entrepreneurs, who, prior to the Fellowship, had little understanding of the specific challenges faced by civil society in using data. Through working with local NGOs, governments and newsrooms, these Fellows gained an understanding of how they could use their skills to serve civil society more effectively. New Methodologies & Approaches for Training: Through the Fellowship programme, Fellows were able to tap into a network of data literacy practitioners and learn from the best about how to build an effective training programme for any audience. International Visibility & Connections: Finally, through the School of Data programme, Fellows were introduced to an international community, increasing both the visibility of their work and providing them with a number of new and exciting opportunities to train and to be recruited for consultancies and jobs. Fellows have gone on to work for large newsrooms, international organisations, development agencies and governments. In addition to supporting Fellows to achieve their own goals and personal development, the Fellowship programme also seeks to strengthen data literacy within local civil society. The potential of the Fellowship to have a meaningful impact on local civil society groups was formally acknowledged in 2016, with the inclusion of a specific programmatic goal relating to community-building. As seen in School of Data’s research on the value of different formats of data literacy activities, the Fellowship format is most successful in achieving outcomes related to awareness-building (understanding of data uses, awareness of data skill gaps, knowledge of the data pipeline) as well as the kickstarting of data-related activities locally. This awareness raising work is required in every sector. It is not necessarily because there is an emerging data community focused on transparency and accountability in public finance or extractives that the local health or water CSOs will be sold on the idea of integrating more data into their work. To reflect these learnings, in 2016, we started recruiting Fellows with a particular topical interest or expertise who would work on data literacy in that specific sector. We welcome any thoughts and feedback that you have. Get in touch on twitter @schoolofdata or via our contact page. CoST Tanzania, Tanzania: Tanzania is implementing programmes to improve service delivery in a wider variety of sectors such as education, health, water and transportation with a number of programmes involving the construction of facilities and other forms of infrastructure. However, stakeholders complain about the poor quality of infrastructure, often alluding to corruption and lack of accountability. Through the AODC Fund, CoST TZ will work to address this challenge by advocating for transparency in procurement of infrastructure projects through the disclosure of contracts information, by building the capacity of Procuring Entities (PEs) to disclose information and by sensitising key stakeholders, especially CSOs, to use disclosed data to hold authorities accountable. AfroLeadership, Cameroon: This project seeks to fight corruption, improve local accountability and ensure effective service delivery by collecting and publishing approved budgets and accounts for all local authorities in Cameroon on the OpenSpending Cameroon platform. Furthermore, in order to ensure that the data made available is taken up and used to hold government to account, AfroLeadership will work to strengthen the capacity of journalists and civil society actors to understand budget data by providing a number of offline trainings and developing online resources and courses, all in collaboration with School of Data and the international OpenSpending team at Open Knowledge International. Outbox, Uganda: The rapidly expanding capital of Uganda, is experiencing some obvious growing pains and while the current administration is doing their best to increase the living conditions of the inhabitants through beautification efforts, road and transportation projects etc, it remains obvious that Kampala’s environment is suffering. This project aims to make these challenges visible through data and allow the Kampala Capital City Authority (KCCA) and other stakeholders more effectively manage the impact of an ever-growing population through data-driven policies and projects. Outbox, in collaboration with the Things Network in Amsterdam, will develop an environment station to measures different environmental indicators such as temperature, air pressure, humidity, sound, ultrasound and light, install three stations and publish their measurements online in real time. Outbox will then take our data and advocate with it directly at Kampala City Council and other stakeholders and show them how they can use the data we publish in doing their daily work. The Association of Freelance Journalists, Kenya: While sectors such as education, health, buisness and the environment are of critical importance to the people of Kenya and there is a substantial amount of data available that could be used to tell compelling stories about the challenges Kenya is facing in these sectors, at present, journalists still lack the capacity to use the data effectively for storytelling. As such, the AFJ will lead a project to unpack data journalism in Kenya by building the capacity of Kenyan journalists to use data and assist journalists in producing data driven stories. HeHe Labs, Rwanda: HeHe is a mobile technologies research and innovation lab with the vision to transform Africa into a knowledge society by connecting its people to relevant information and services. Their mission is to leverage the growth in ICTs by building meaningful mobile technology solutions for the African continent. Through this project, HeHe Labs will work to improve service delivery in all sectors through a six month training programme designed to train young people how to use technology to solve local challenges. Women Environmental Programme, Nigeria: Many problems have bedevilled the local government budgeting in Nigeria. This project will specifically evaluate the causes of failure in the local government areas and how effective budget control bring about efficient governance in the local government systems. Press Union of Liberia, Liberia: There is a severe limitation of data that the ordinary people can access in Liberia. Through this project, a select team of journalists will be trained in data journalism, and a lesser number of community radio stations – in rural Liberia – will be provided computers, cameras and digital recorders to expand their programs through the use of social media. The journalists will learn to access links to a variety of data and to upload local data sources to a web portal operated by the Press Union of Liberia. The Open Data for Development is looking forward to collaborating with all the grant recipients in 2016! *The grants are pending on the expected renewal of the partnership between the International Development Research Centre and the World Bank Development Grant Facility for the third year of the OD4D Program. Within weeks, we received over 450 applications from 34 countries to fill just four positions and today we are pleased to announce the selected fellows! We were truly amazed by the diversity, quality and creativity of so many of the applicants and are keen to support more fellows in subsequent iterations of the fellowship programme. Please do get in touch if you are interested in learning more about how you can support future fellows. The fellowship will start in May and run through November, giving the fellows 6 months to develop their ideas into sustainable and impactful solutions to local challenges. Over the course of the fellowship both Code for Africa and Open Knowledge will provide support and mentorship for the fellows as they grapple with the challenges of taking an idea to fruition! Read on to learn more about the 2015 cohort of Open Government Fellows and discover the exciting projects that they will be working on! 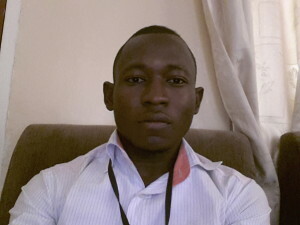 Suhuyini Salim Shani Suhuyini Salim Shani currently works at VOTO Mobile where he is the lead implementer on a project being rolled out in 4 districts in Ghana called Mobile for Social Inclusive Governance popularly called “All Voices Matter”. The goal of this project is to amplify the voices of marginalised groups and bring them to local government officers for informed decision making. Prior to joining Voto, he was an Assistant Development Planning Officer for one of the District Assemblies in Northern Region of Ghana. Through the fellowship, Suhuyini will launch a project that is aimed at collecting on-the-ground information from citizens in the worst performing district (Karaga District) according to the Districts League Table (DLT) and engage them in a sustainable dialogue aimed at the development of the district. His work will establish baseline information on residents’ satisfaction with their performance and also figure out how to improve upon the development of the district from the ordinary citizens’ perspective. Salim also wishes to learn from his co-fellows; “I know my colleagues in this fellowship will also come with brilliant ideas and I hope to learn and exchange ideas from them.” Irene Ikomu Irene Ikomu is a Ugandan lawyer who has been running Parliament Watch Uganda for over a year and a half now and has always been keen to find new opportunities to develop her knowledge and network around access to information, transparency and accountability. While the work Parliament Watch Uganda has done so far has been focused on tracking the institution as a whole, over the course of the fellowship, Irene will conceptualise and develop a model for tracking individual Members of Parliament. At the moment, tracking MP performance using technology is challenging given that key data, such as voting and attendance records, are not made readily available. Irene will therefore be using the opportunity to work with other data and technology experts to make this valuable data on Members of Parliament available to citizens in way that enables them track the performance of their representatives effectively and efficiently. Irene is looking forward to exploring and experimenting with various ways of improving the dialogue between government and citizens. 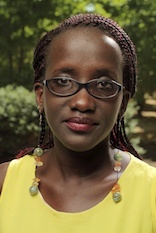 She is keenly aware that uploading data to a website is not going to transform the relationship between governments and citizens; as such, Irene hopes to learn from the experiences of the other fellows as well as the international open government community to ensure that she continues to focus on the end users and the objectives of Parliament Watch Uganda. 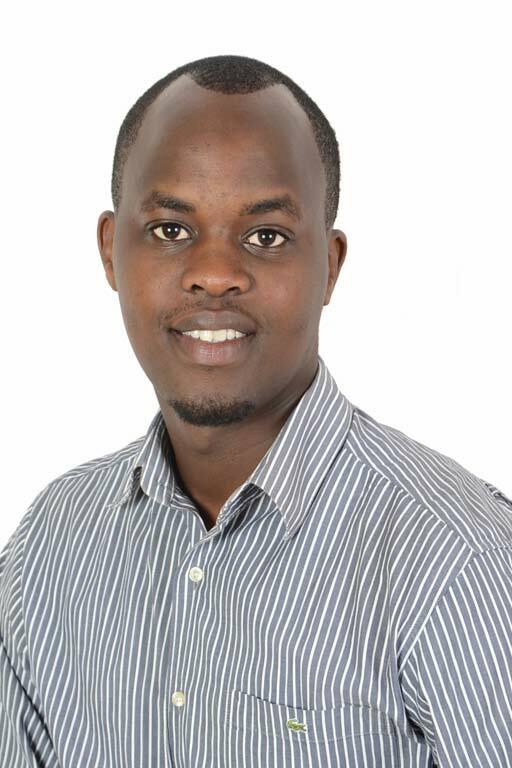 Claude K. Migisha Claude Migisha K. is a Technologist with over 6 years of experience working at the intersection of Technology and human development. He pioneered the inception of The Rwanda Tech Innovation sphere by founding kLab – a tech innovation hub and implementing THINK – a Millicom owned tech incubator, both based in Kigali, Rwanda. He worked as ICT4D expert in sectors ranging from education, health and youth empowerment with international organisations like; Jhpiego, World Relief, Kepler and GirlHub Rwanda. In 2013, representing tech entrepreneurs, he took part in the Open Data Readiness Assessment for Rwanda conducted by the World Bank and the Government of Rwanda, immediately realising the importance of having an open exchange of data between the government and citizens. As a result, Claude and colleagues launched Sobanukirwa.rw, an access to information/data website in Rwanda, just a few weeks ago that seeks to foster open governance, transparency and accountability. It’s a citizen empowerment tool that lets anyone interact with government and private bodies to request the release of information/data. Claude will be taking advantage of the fellowship to continue to develop the platform, raise awareness for the platform with citizens and strengthen the relationship with the Government in order to ensure that the platform is useful to Rwandan society in general. Over the course of the fellowship, Claude hopes to acquire new skills and experience on how to best use new technologies to open up government, increase transparency & accountability and most importantly strengthen citizen engagement. He is keen to learn from the experiences of his peers in other countries developing similar platforms. By the end of his fellowship, he would like to see a large number of Rwandan citizens and government officials engaging on Sobanukirwa. 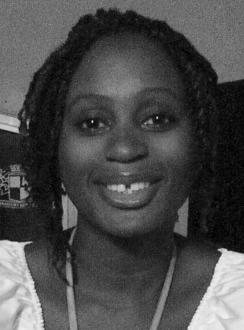 Seember Nyager Seember Nyager is currently based in Nigeria and has spent the better part of the last decade promoting increased disclosure of information pertaining to the utilisation of public resources. Her expertise and interest lies in the utilisation of the law, media and technology to promote and push forward inclusive governance in Nigeria. She began her career a decade ago at the African Radio Drama Association where, among other radio programs, they tested the efficacy of the radio as an ICT tool to improve access to information for young rural women farmers. Currently, she runs Public and Private Development Centre (PPDC) where she coordinated the development and deployment of the 1st version of a robust ICT procurement monitoring portal in Nigeria which won the Global Procurement Innovation Challenge in 2012. She was one of 17 other open contracting practitioners convened by the World Bank Institute to author the 1st edition of the Open Contracting Guide. Additionally, as part of her current role at PPDC, she pioneered the ranking of FOI compliance among Nigerian public institutions, pioneered the constituency projects platform ,conducts legal research on FOI, and coordinates FOI litigation. Her primary objective of the fellowship is to advocate for an increase in proactive disclosure as well as the the development and deployment of data standards, especially the open contracting data standard, across public service. She shall initiate discussions around available platforms through which open contracting data can be customised and used across public services with the goal of linking data on public resources (from budget appropriations to budget releases to individual projects). This would enable every interested party, including community members, track the utilisation of public resources. By the end of the fellowship, she hopes to acquire new skills in articulating the benefits of open governance in a way that pushes people in public service to partner with civil society as champions the cause. Open Data Day 2015, which took place on February 21, was celebrated in hundreds of communities around the world. In this blog series, we have been highlighting the discussions and outcomes of a small selection of the hacks, data dives and meetups that were organised that day. In this fourth post in the series, we will be looking at a selection of events that took place in Africa, from Tunisia to South Africa and Nigeria to Kenya! If you want to learn more about what transpired in other parts of the world, check out our recaps posts on Asia, the Americas and Europe. Open Data Day was rocking this year on the African continent, here is just a sample of some of the incredible events that were organised through open community members! 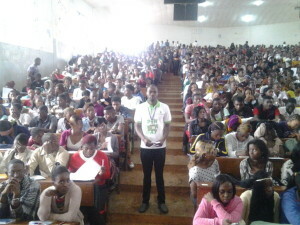 As far as we can tell, the award for largest open data day event in the world goes to the open data community in Yaoundé, Cameroon who managed to pile 2,000 people into the amphitheater at the University of Yaoundé to learn about open data and its potential to improve the lives of citizens in Cameroon. Furthermore, as if 2,000 people in an university amphitheater on a Saturday afternoon wasn’t impressive enough, the event had 5,000 registered participants and incredible online engagement. The NetSquared Yaoundé community brought together students, open data experts and professors to listen and learn about the importance of open data and specifically the benefits that open data can bring education, economic development, citizen engagement and government transparency and accountability. In a keynote talk, the president of the College of Law and Political Science at the University of Yaoundé emphasised the importance open data for researchers in Cameroon and West Africa as a whole, highlighting that access to open data allows researchers to better understand the challenges they are facing and to developed evidence based and locally specific solutions. Our hats are off to the open data community in Cameroon, what an exceptional result! In Dar es Salaam, Tanzania, open data day was attended by technologists, programmers, hackers, students, activists and NGOs, all of whom came together to grow the local open knowledge community, introduce newcomers to civic hacking and demonstrate the incredible storytelling power of data and data driven projects. Overall, the event was a great success. Several open data projects were presented and a number of open data challenges were identified discussed (for example, the lack of open licence, FOIA, and reluctance of government agencies to share data). Together, participants, shared their strategies to overcome these challenges and brainstormed an effective best path forward. Participants acknowledged the very real challenge that the open movement is facing in Tanzania as some civil society groups still fail to see the value of coming together to collectively raise a louder voice in demanding open government data. Ultimately, participants determined that the open movement in Tanzania would benefit from increased community building efforts and targeting new partners in order to push the open agenda forward with a larger, more joined-up, base. The participants also determined that there was a need to encourage government officials to attend events like this in the future. 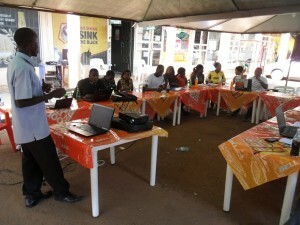 In Nigeria, the open data community organised Benin City’s first open data hackathon with resounding success. The goal of the event was simple, to raise awareness for open data by using the agricultural sector as an example and demonstrating how data was being used by entrepreneurs in the sector. By the end of the day, organisers hoped that they would generate a pool of ideas on how to stimulate innovation within the agricultural sector through data driven applications and were pleased to report that a number of ideas emerged from the day’s discussion. Keynote presentations were used to introduce key concepts and provide examples of open data. Subsequently, participants were asked to get their hands dirty and actually work with data and think about solutions to challenges within the sector. Open Data Day participants in Benin City worked with agriculture data from the state’s open data portal – www.data.edostate.gov.ng. The emerging projects are still in development phase and are not yet online but organisers were incredibly excited to see participants working with the data the government has been publishing! Kampala, Uganda was bustling with open data day activities this year, so much so that hackathons were carried out across two weekends! On February 28th, Reality Check organised an open data day event for journalists, researchers, entrepreneurs, students and technologists. This followed up on data storytelling from the week before. Participants learned about the strengths and weaknesses of tools like videos, pictures, charts as well as about the various tools that are available. Participants learned how to clean and visualise data it in order to use it for effective storytelling. New visualisations were created as well. .. Check it out here. The participants discussed the progress that had been made over the past year, specifically focusing on what worked and what didn’t, in order to plan better for the year to come. The event was a great success and created such excitement among participants that many of them want to meet and discuss the subject on a monthly basis! In addition, a new google group as well as facebook page were opened to allow people can keep in touch and continue to engage with one another online as well as offline. Finally, in February in Kampala, open data related activities were not limited to one off hackathons> check out the awesome Code for Africa Bootcamp organised the following week! 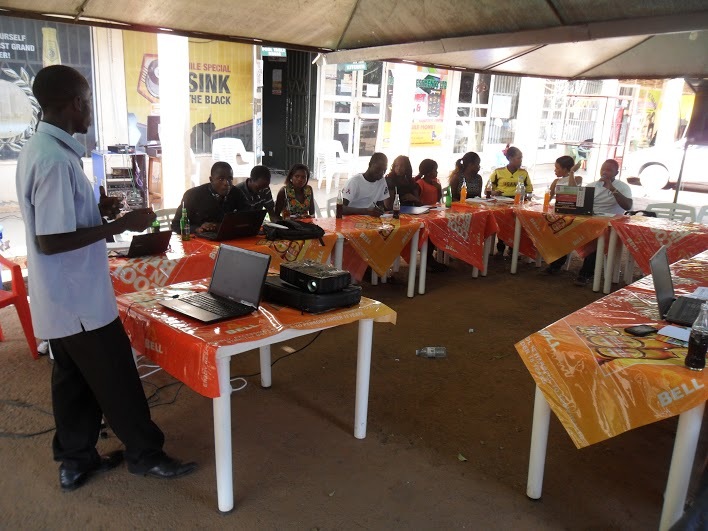 February was a busy month for open data in Uganda! 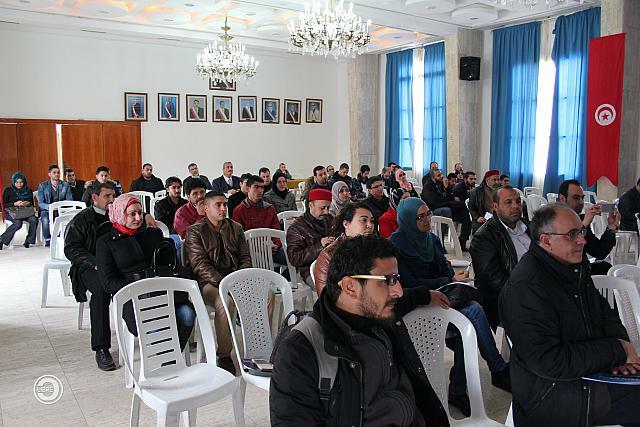 In Tunisia, Clibre organised a meetup with a diverse group of participants to celebrate open data day 2015! There were a number of participants with little to no technical knowledge and the goal of the meetup was to expose all participants to the concept of open data and open government as well as to discuss the legal implications of open government in light of the new Tunisian constitution. Following the presentations and discussion, a number of initiatives using Open Data in Tunisia were presented. M. Nizar Kerkeni, president of the CLibre Association, presented the new open data portal developed for the city of Sayada. At the end of the day, after having had the chance to play around with the new data portal, M. Ramzi Hajjaji from CLibre announced that an official web portal for the city of Monastir would be launched soon, inspired by the portal developed for the city of Sayada. You can check out a full report of the day (in French) on their website, along with a number of videos (in Arabic)! 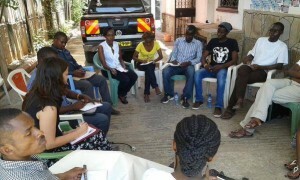 Open Data Day in Mombasa, Kenya was celebrated by organising four separate focus groups in order to explore the potential of open data in the following key areas: security, economy, education & conservation. The conservation group looked at data on everything from marine and wildlife conservation to the conservation of historic buildings and sites in Mombasa. They looked for various datasets, analysed the data and created various data visualisations documenting pertinent trends. The group exploring the potential of open data on the economy built a prototype for an open tendering system for the government of Kenya, scoping the necessary features and potential impact. The participants exploring open data in education brainstormed various ways in which open data could help parents and students make more informed choices about where they go to school. Finally, in the security group, participants discussed and hacked on ways that they could use open data to combat corruption and fraud. 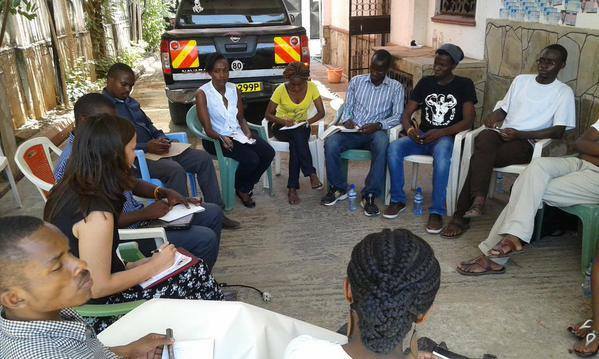 Comments Off on Open Data Day 2015 Recap #4: Hacks, Meet Ups and Data Exploration in Africa! December 2015 saw the Sustainable Development Policy Institute and Alif Ailaan launch the Pakistan Data Portal at the 30th Annual Sustainable Development Conference. The portal, built using CKAN by Open Knowledge, provides an access point for viewing and sharing data relating to all aspects of education in Pakistan. A particular focus of this project was to design an open data portal that could be used to support advocacy efforts by Alif Ailaan, an organisation dedicated to improving education outcomes in Pakistan. The Pakistan Data Portal (PDP) is the definitive collection of information on education in Pakistan and collates datasets from private and public research organisations on topics including infrastructure, finance, enrollment, and performance to name a few. The PDP is a single point of access against which change in Pakistani education can be tracked and analysed. Users, who include teachers, parents, politicians and policy makers are able to browse historical data can compare and contrast it across regions and years to reveal a clear, customizable picture of the state of education in Pakistan. From this clear overview, the drivers and constraints of reform can be identified which allow Alif Ailaan and others pushing for change in the country to focus their reform efforts. Pakistan is facing an education emergency. It is a country with 25m children out of education and 50% girls of school age do not attend classes. A census has not been completed since 1998 and there are problems with the data that is available. It is outdated, incomplete, error-ridden and only a select few have access to much of it. An example that highlights this is a recent report from ASER, which estimates the number of children out of school at 16 million fewer than the number computed by Alif Ailaan in another report. NGOs and other advocacy groups have tended to only be interested in data when it can be used to confirm that the funds they are utilising are working. Whilst there is agreement on the overall problem, If people can not agree on its’ scale, how can a consensus solution be hoped for? Alif Ailaan believe if you can’t measure the state of education in the country, you cant hope to fix it fix it. This forms the focus of their campaigning efforts. So whilst the the quality of the data is a problem, some data is better than no data, and the PDP forms a focus for gathering quality information together and for building a platform from which to build change and promote policy change— policy makers can make accurate decisions which are backed up. The data accessible through the portal is supported by regular updates from the PDP team who draw attention to timely key issues and analyse the data. A particular subject or dataset will be explored from time to time and these general blog post are supported by “The Week in Education” which summarises the latest education news, data releases and publications. CKAN was chosen as the portal best placed to meet the needs of the PDP. Open Knowledge were tasked with customising the portal and providing training and support to the team maintaining it. A custom dashboard system was developed for the platform in order to present data in an engaging visual format. As explained by Asif Mermon, Associate Research Fellow at SDPI, the genius of the portal is the shell. As institutions start collecting data, or old data is uncovered, it can be added to the portal to continually improve the overall picture. The PDP is in constant development to further promote the analysis of information in new ways and build on the improvement of the visualizations on offer. There are also plans to expand the scope of the portal, so that areas beyond education can also reap its’ benefits. A further benefit is that the shell can then be be exported around the world so other countries will be able to benifit from the development. The PDP initiative is part of the multi-year DFID-funded Transforming Education Pakistan (TEP) campaign aiming to increase political will to deliver education reform in Pakistan. Accadian, on behalf of HTSPE, appointed the Open Knowledge Foundation to build the data observatory platform and provide support in managing the upload of data including onsite visits to provide training in Pakistan. Open Knowledge Belgium to host The Second Edition of Open Belgium in Namur on Feb 23rd, 2015! Register Today! On 23 February, Open Knowledge Belgium is hosting the second edition of Open Belgium, an event expected to attract over 200 people, coming together to learn and discuss the growing open knowledge movement in Belgium. This year Open Knowledge Belgium is hosting the conference, together with our Walloon colleagues and partners, at the Palais des Congrès in Namur. OpenBelgium 2015 Teaser from Open Knowledge Belgium on Vimeo. The jam-packed programme is not to be missed! With over 35 speakers, the objective of the day is unpack challenges, explore opportunities and learn about technological developments as they relate to Open Data and Open Knowledge. The event presents an ideal opportunity to exchange best practices with national and international experts. Thomas Hermine (Nextride) and Antoine Patris (TEC) on how opening up Walloon public transport data offers new opportunities and economic value. Eight Participatory Workshops: Following the keynotes, participants will have the opportunity to participate in eight workshops focused on specific themes and organised by national and international experts. Emerging Open Data business models (Tanguy De LESTRE). OPEN DATA DAY 2015 is coming and a coalition of partners have come together to provide a limited number of micro-grants designed to support communities organise ODD activities all over the world ! Open Data Day (ODD) is one of the most exciting events of the year. As a volunteer led event, with no organisation behind it, Open Data Day provides the perfect opportunity for communities all over the world to convene, celebrate and promote open data in ways most relevant to their fellow citizens. 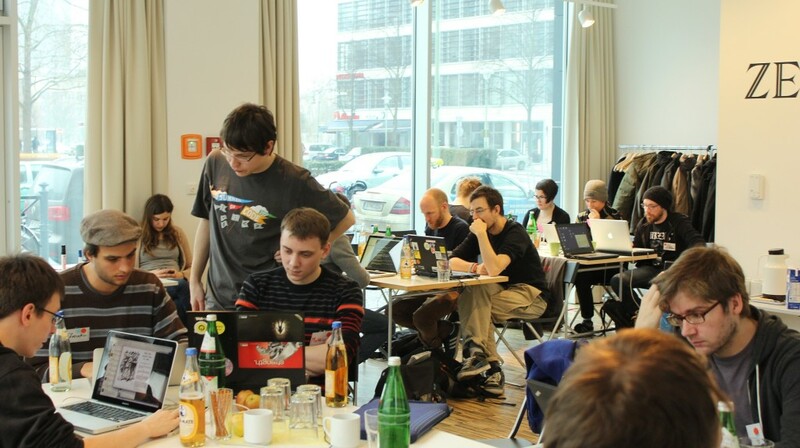 This year, Open Data Day will take place on Saturday, the 21st of February 2015 and a coalition of partners have gotten together to help make the event bigger (and hopefully better) than its has ever been before! While Open Data Day has always been a volunteer led initiative, organising an event often comes with quite a hefty price tag. From hiring a venue, to securing a proper wifi connection, to feeding and caffeinating the volunteer storytellers, data wranglers and developers who donate their Saturday to ensuring that open data empowers citizens in their communities, there are costs associated with convening people! Our Open Data Day Coalition is made of open data, open knowledge and open access organisations who are interested in providing support for communities organising ODD activities. This idea emerged from an event that was organised in Kenya last year, where a small stipend helped local organisers create an amazing event, exposing a number of new people to open data. This is exactly what we are trying to achieve on Open Data Day! As such, this year, for the first time ever, we are proud to announce the availability of a limited number of micro grants of up to $300 to help communities organise amazing events without incurring prohibitive personal costs. The coalition will also provide in-kind support in the form mentorship and guidance or simply by providing a list of suggested activities proven effective at engaging new communities! The coalition consists of the following organisations (in alphabetical order): Caribbean Open Institute, Code for Africa, DAL, E-Democracy, ILDA, NDI, Open Access Button, Open Coalition, Open Institute, Open Knowledge, Sunlight Foundation and Wikimedia UK. Want to join? Read on. Applying for a Microgrant! Any group or organisation from any country can apply. Given the difference focus of our partners, grants in Latin America will be handled and awarded by ILDA. In the Caribbean, the Caribbean Open Institute will handle the process. 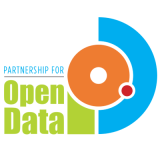 Finally, The Partnership for Open Data will focus on other low to mid income countries. Of course, in order to ensure that we are able to award the maximum number of grants, we will coordinate this effort! You can find the application form here. The deadline to apply is February 3rd and we aim to let you know whether your grant was approved ASAP. Currently, we have one micro grant, provided by The Sunlight Foundation, for a group organising open data day activites in a high income country. We would love to provide additional support for groups organising in any country; as such, if you are interested in helping us find (or have!) additional funding (or other forms of in kind support such as an event space! ), do get in touch (see below how to join the coalition). We will make sure to spread the word far and wide once we have additional confirmed support! How to Apply for an Open Data Day Micro Grant If you are organising an event and would like additional support, apply here. If your grant is approved, you will be asked to provide us with bank transfer details and proof of purchase. If it is not possible for you to make the purchases in advance and be reimbursed, we will be sure to find an alternative solution. Is this your first Open Data Day event? Fear not! In addition to the grant itself, our coalition of partners is here to provide you with the support you need to ensure that your event is a success. Whether you need help publicising the event, deciding what to do, or some tips on event facilitation, we are here to help! Requirements All groups who receive support will be asked to add their event to the map by registering your event here as well as by adding it to list of events on the Open Data Day wiki. After the event, event organisers will be asked to share a short blog post or video discussing the event! What data did you work with, how many people attended, are you planning on organising additional events? We’d also love to hear about what you learned, what were the challenges and what you would have done differently? You can publish this in any language but if possible, we would love an English translation that we can share in a larger blog series about Open Data Day. I you would like to have your event included in our summary blog series but are not comfortable writing in English, write to us at local [at] okfn [dot] org and we will help you translate (or connect you with someone who can!). What To Do Now The next step is to start organising your event so that you can apply for your micro-grant ASAP! We are aware that we are a bit late getting started and that communities will need time to organise! As such, we aim to let you know whether your grant has been approved ASAP and ideally by the February 6th, 2015. If February 3rd proves to be too tight a deadline, we will extend! Finally, if you need inspiration for what to do on the day, we are building a menu of suggested activities on the Open Data Day wiki. Go here for inspiration or add your ideas and inspire others! For further inspiration and information, check out the Open Data Day website, which the community will be updating and improving as we move closer to the big day. If you need help, reach out to us at local [at] okfn [dot] org, or check in with one of the other organisations in the coalition. Interested in joining the coalition? We have a limited number of grants available and expect a large demand! If you are interested in joining the coalition and have either financial and/or in-kind support available, do get in touch and help us make Open Data Day 2015 the the largest open data hackday our community and the world has ever seen! Comments Off on Launching Open Data Day Coalition Micro-Grant Scheme: Apply Today!